The GuruGanesha Band has poured their heart and soul into their new album “People of Love” and can’t wait to share it with the universe. We can totally see why! At first listen, we immediately sense a profound elevation in their sound and a pure vibration of peace and unconditional love. The new album (coming this fall) explores some of the complex themes and textures of today’s challenging world combined with uplifting mantras that are sure to inspire and renew anyone who listens. GGB is thrilled to be playing some of this new material, as well as some of their classic favorites, at Sat Nam Fest and out on the road during their upcoming fall tour. We’re lucky to have GuruGanesha Band at Sat Nam Fest in the Berkshires on Thursday, August 10 at 7pm. We can’t wait to hear their new jams live and watch the group blow the crowd away with their transcendent rhythm and energy. GGB’s open hearts encourage all to sing, chant, dance and meditate along with them. 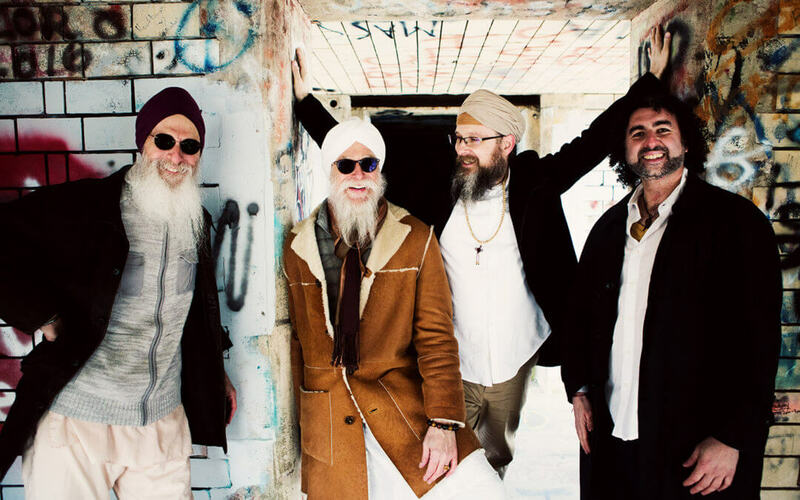 Those who have experienced the GuruGanesha Band live in concert already know that the group tears down the house while lifting the audience’s collective spirit to a higher plane. “People of Love” will also be available for limited pre-release at the Spirit Voyage booth at the festival. Come experience the joyful bliss of The GuruGanesha Band live, and pick up a copy of their new album to bring the love home with you. We need this music and community now more than ever. Sat Nam Fest East is the first stop on GuruGanesha Band’s “People of Love” tour of the Northeast, so be sure to check out their tour dates to see if they’re bringing the love to a city near you! Ashlee Davis is a KRI-certified Kundalini Yoga teacher, holistic health coach, and marketing specialist at Spirit Voyage. She runs the Spirit Voyage blog and supports the marketing team in sharing Kundalini Yoga, meditation, and music with the world!